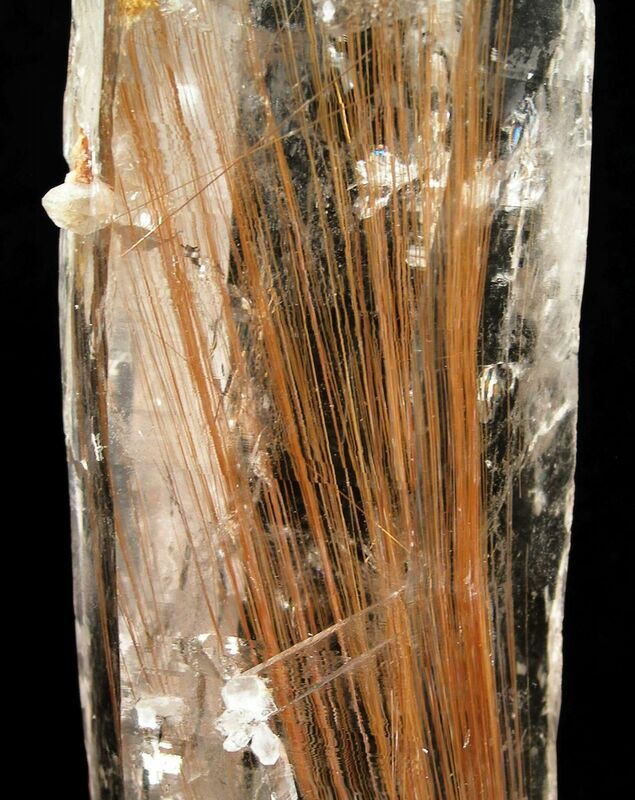 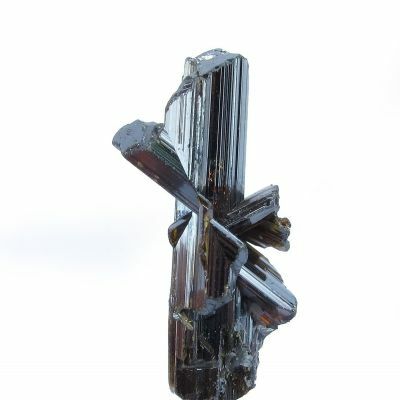 This is a stunning specimen of rutile included inside quartz...rather, in a giant elongated, floater quartz crystal! 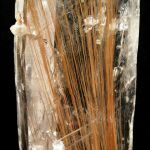 THE RUTILE NEEDLES ARE 7 INCHES LONG! 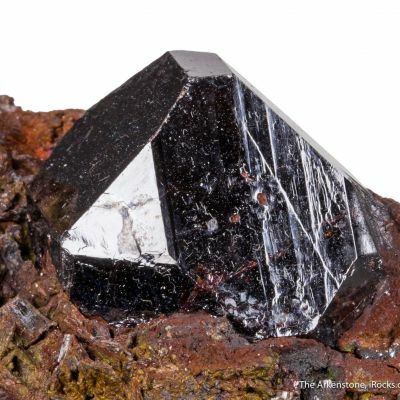 I have never seen a piece like this, with such large rutiles, included precisely along the c-axis so that their whole length is enclosed. 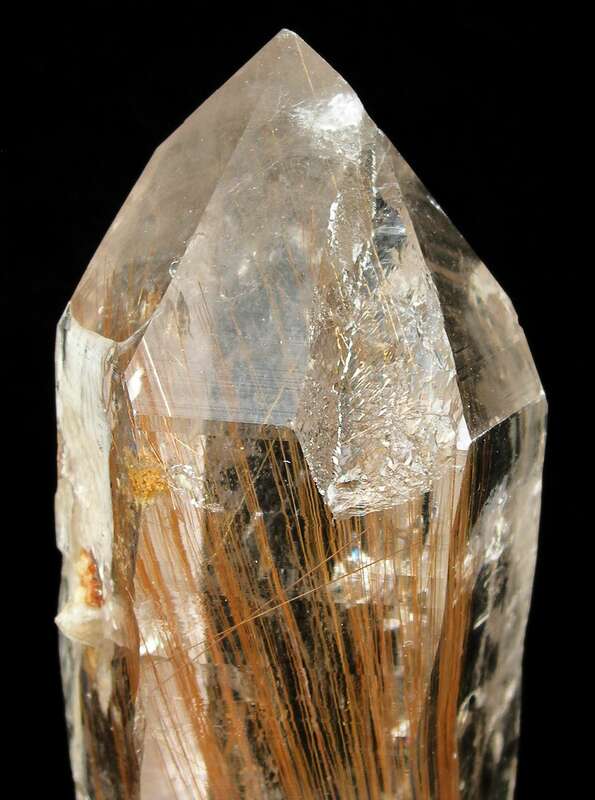 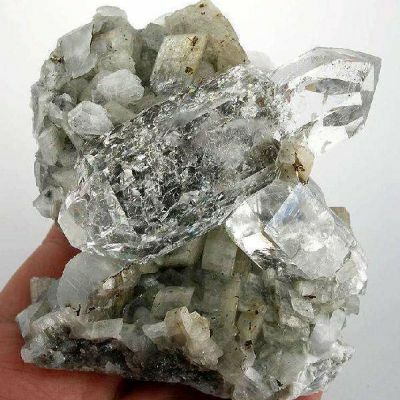 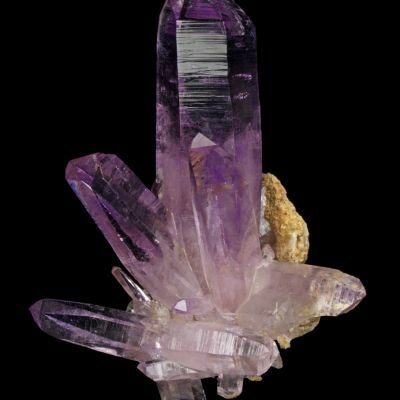 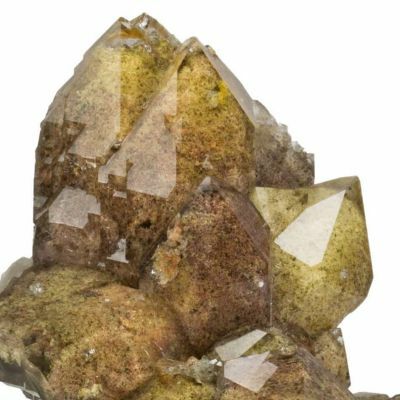 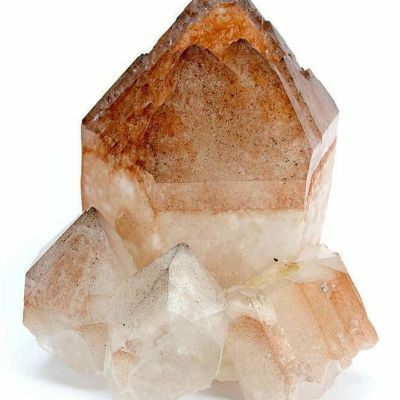 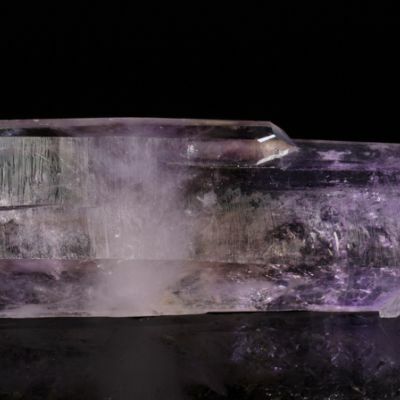 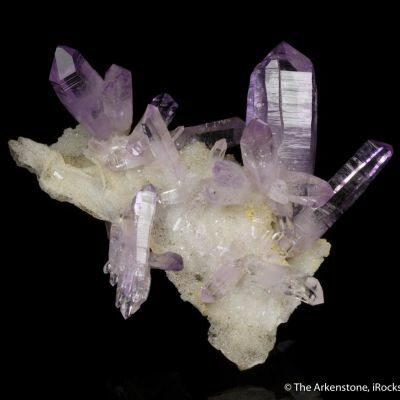 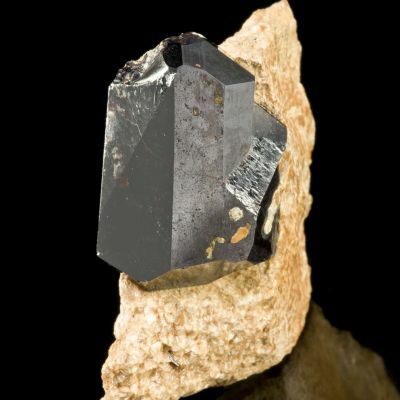 Usually the inclusions are not lined up on the long axis, and so the quartz cannot possibly hold the full terminations (even of small rutile crystals). 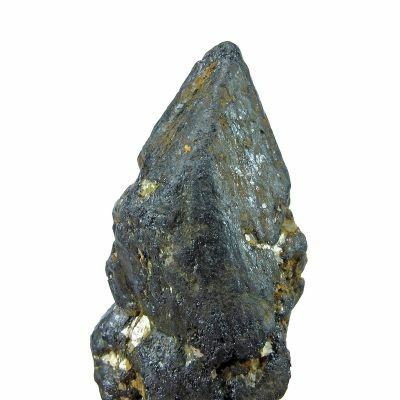 Here, we have rutile complete from tip to tip, 7 inches later. 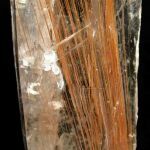 The color of the rutile is red-orange, a RICH hue, not the usual yellow-orange or brown shades of rutile. 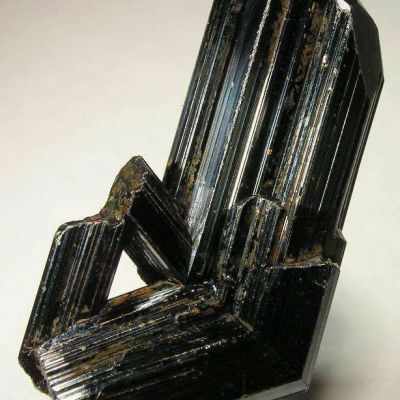 So, it really stands out to the viewer. 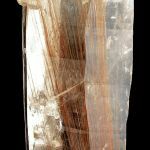 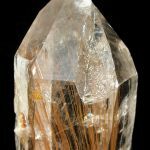 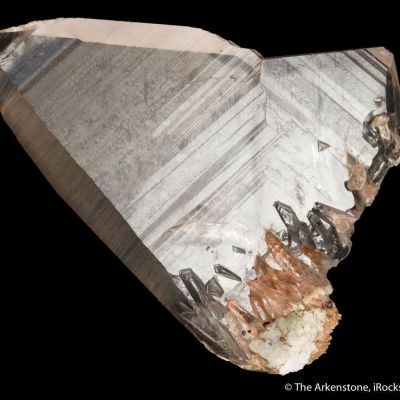 The contrast of symmetries and color, and of the acicular rutile inside to the sharp faces of the enclosing quartz, is more dramatic than one normally sees (usually there is just no alignment, no symmetrical relationship). 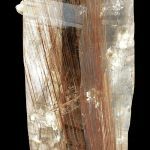 I have seen literally thousands of rutile in quartz specimens and few transcend to this level of import and interest to me. 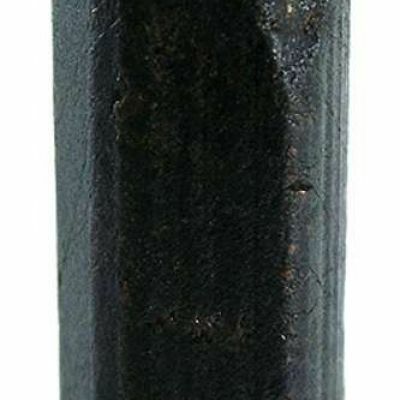 I showed it to other sophisticated colelctors who normally would not register a "common oddity" such as this, and all were equally impressed. 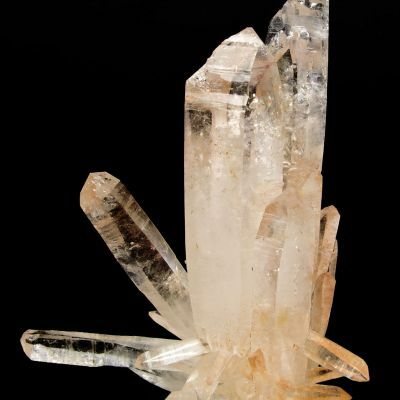 In fact, I elicited a few choice phrases from one normally conservative and polite collector. 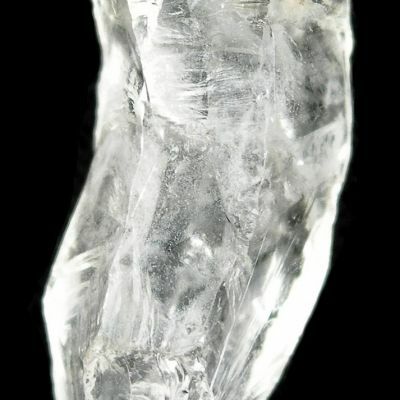 The piece is 735 grams, and complete all around except for a small growth contact on one terminal face. 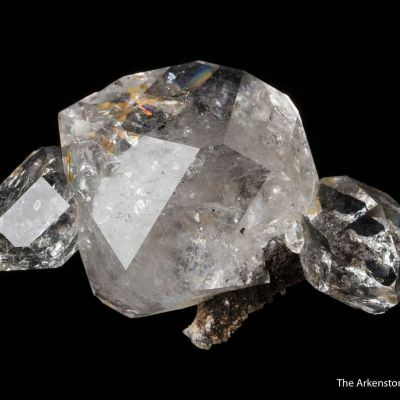 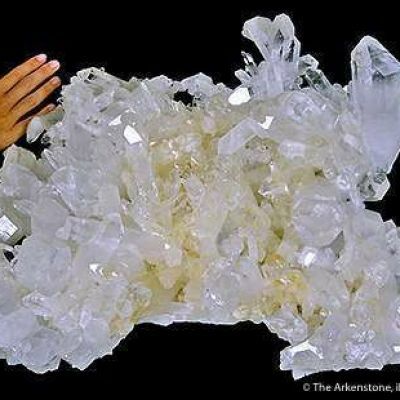 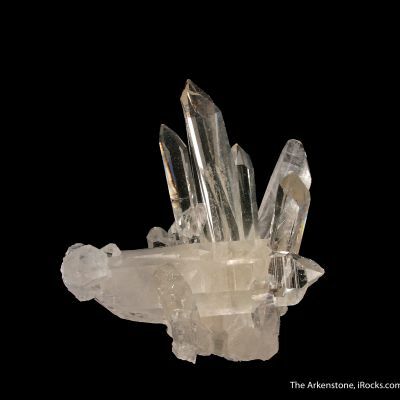 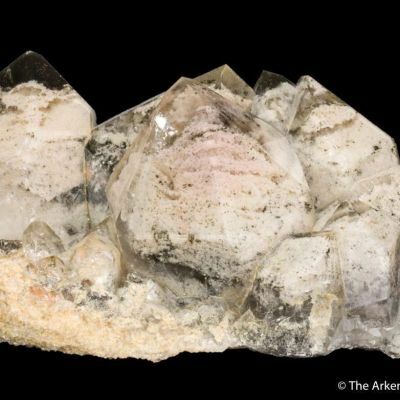 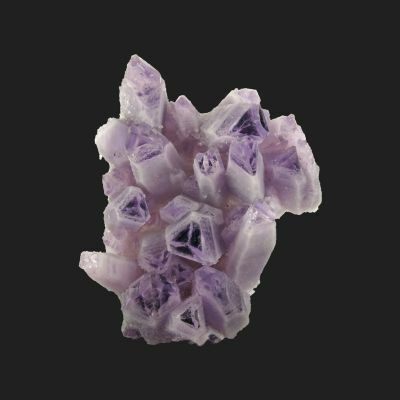 A remarkable, rare quartz specimen of the top caliber to my mind. 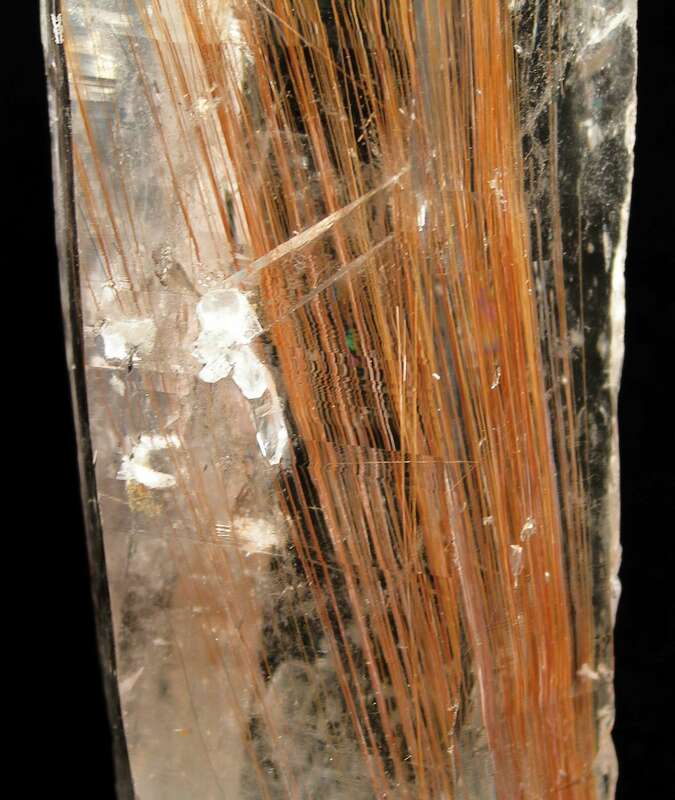 Apparently an older specimen kept in the stash of a Brazilian source, this turned up at the Tucson 2010 show.